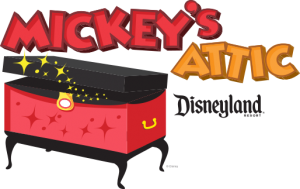 Through the Mickey’s Attic program, retired Disneyland Resort merchandise and company assets are donated to local nonprofit organizations, giving new life to these useful items while positively impacting the local community. Any charitable nonprofit organization headquartered in Orange, Los Angeles, San Diego, Riverside, San Bernardino, Imperial, Santa Barbara and Ventura County may apply to participate in the program. 501(c)3 nonprofit organizations who serve clients in Southern California can apply for acceptance into the program. When an item becomes available for donation, approved organizations will be notified via e-mail. 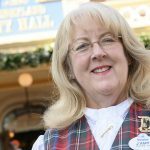 Disneyland Resort Corporate Citizenship will select and notify the recipient of the item(s). 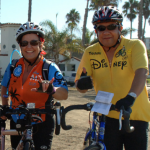 Items must be used to directly benefit clients in Southern California served by the organization. Depending on the nature of the item, it can either be given to clients for personal use or utilized by the organization at its offices or event venues. These items may not be used for resale or to generate profit for individuals or the organization. 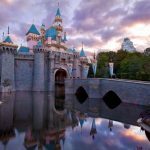 Items must be picked up from the Disneyland Resort by the specified date. The community organization is responsible for providing a vehicle to transport the donated items. If an item is claimed and not picked up, your organization may be removed from the program. The “Waiver and Release” form must be completed by the organization and submitted to the Resort prior to picking up the donated items. Item descriptions and/or digital photos (if available) will be provided in the e-mail notifications. We cannot accommodate pre-inspection of the items. Organizations must take receipt of all items outlined in the original e-mail at the time of pickup. Complete the application by using the link below.